Dogs, as we all know are man’s best friends. A well-trained dog is a devoted and obedient companion. They tend to protect their master in regards to their safety; come what may! Thus, owning a dog as a pet is a common practice among humans. But the major concern that most owners have all over the world is to ensure good health for their beloved pets. Unfortunately, the list of diseases a dog can suffer is long. Just like humans, dogs can develop metabolic, viral, bacterial and fungal diseases. Parasitic infestations, genetic disorders, and physical injuries are also common among dogs. But the symptoms depicting health problems in dogs are different and disease-specific. 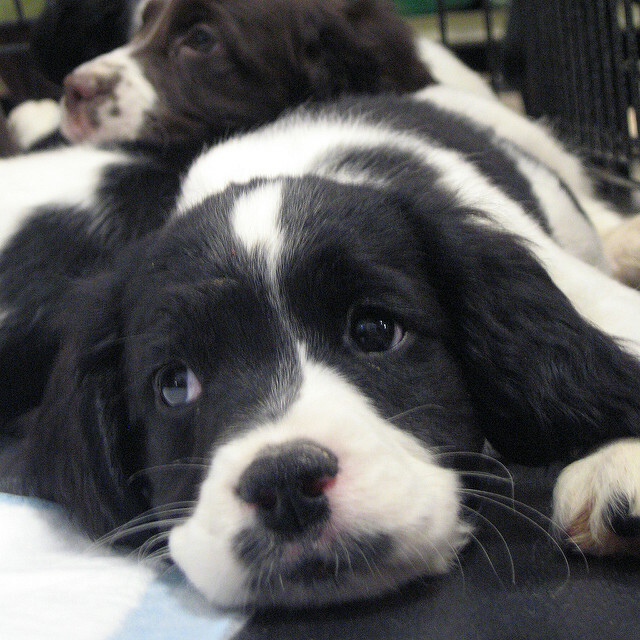 Let us look into some symptoms that may help to diagnose a common disease, Poison Parvo. Parvo is a highly contagious disease commonly accompanied by diarrhea that is often bloody. The disease is caused by a pathogen called canine Parvovirus. The virus is known to survive on inorganic objects – such as clothing, food pans, and cage floors. They may survive for 5 months or even longer in adept breeding conditions. Insects and rodents may also play an important role in the transmission of this disease. Poison Parvovirus is extremely steady and highly resistant towards adverse environmental conditions such as low pH and high heat. 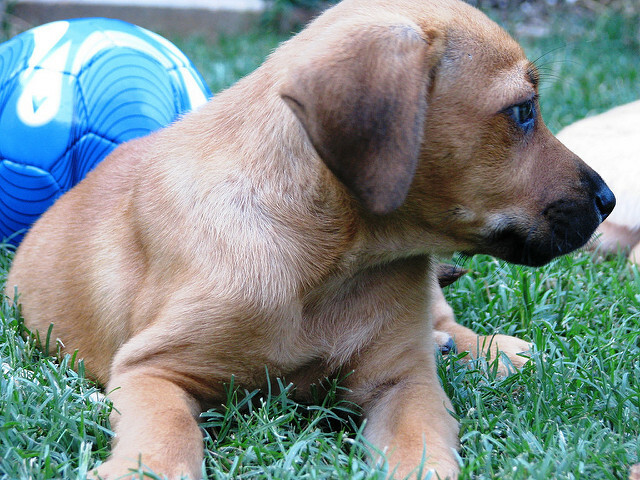 The severity of symptoms shown by dogs infected with Parvovirus may vary over a broad range. This disease most commonly occurs in dogs less than 6 months of age, whereas, the most severe cases are found in puppies less than 12 weeks of age. Common symptoms include weight loss, fever, vomiting, nasal discharge, pus-filled eyes, loss of weight, dehydration, and diarrhea. Canine Poison Parvovirus is a viral infection that is very common among dogs. It is fatal and particularly dangerous for puppies. The targeted site in a dog’s body is the intestinal tract, but in most cases, bone marrow and lymphoid tissues of the dogs are also affected. Due to its ability to be transmitted through hands, clothes, and most likely rodents and insects, it is virtually impossible to have a kennel that will not eventually be exposed to the disease. Vaccination is the only option available to prevent this disease. There are also a few skin diseases that can greatly affect the health of your furry comrade if you’re not keeping a close watch. Dogs can be affected by a range of disorders common among humans such as bacterial infection, fungal infection, parasites and allergic reactions to various household objects. If you notice any of the above signs or symptoms in your pet, immediately contact a veterinary near you. Take your pet along for an examination and a vaccination to prevent against these deadly diseases. As we all know “Prevention is better than Cure”, and therefore, the same holds true for our pets too. Dog throwing up help! This is one of the most common phrases used by dog owners. 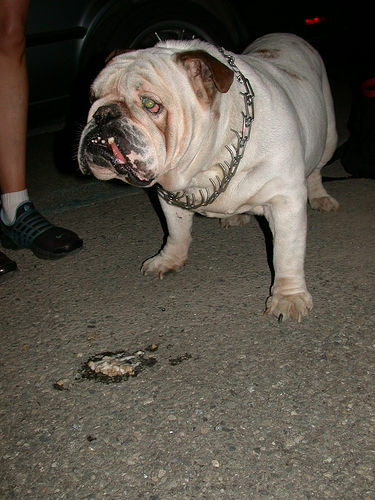 Seeing your beloved pet throwing up can be disheartening. In order to keep him away from potential discomfort and pain, you need to understand potential causes behind dog vomiting and treatment options. Dog vomiting can lead to many problems in dogs. Some of these include weakness of muscles, dehydration, electrolyte disturbances, severe malnutrition, aspiration pneumonia, tremors, inflammation of the esophagus, and severe malnutrition. Sometimes, vomiting leads to nausea accompanied by profuse salivation, swallowing, licking of lips, retching and contractions in the abdominal area. The frequency of dog vomiting can be erratic or steady. While intermittent vomiting is normal, frequent attacks of vomiting are not. If your dog is vomiting regularly and shows the following symptoms, it is time that you take him to a vet for thorough examination. In case, you feel that your pet is unable to hold down even small amounts fluid and food, there’s something seriously wrong. The poor buddy of yours might be suffering from pancreatitis, intestinal obstruction, poisoning, bloating or a serious infectious disease. There can be innumerable causes of dog vomiting. In most cases, it is result of lack of caution in dietary regimes. Dogs tend to throw up after eating trash, rancid food, poisonous plants, foreign bodies, or some toxic/unpleasant substances. Another cause is an underlying disease such as allergies or food poisoning. Sometimes, dogs throw up undigested or partially digested food. However, repeated vomiting, accompanied by diarrhea can be a warning sign for a serious condition. This might be a result of gastrointestinal disease, drug abuse, dietary conditions, neurologic disease, ingestion of toxins etc. Unfortunately, there is no miraculous technique to keep a dog from vomiting. Prevention requires elimination of root causes of vomiting. Since these are known to be diverse, a single protocol cannot be recommended. However, dogs must be kept aloof of various toxic substances. They also require regular veterinary checkups to diagnose diseases or conditions that can result in vomiting. Healthy diet and lifestyle with moderate exercise, attention, care and companionship will keep your dogs in good shape. Dog throwing up help! If this is what you have been shouting, we are here to help you and your pet deal with the problem. We help you understand the reasons behind sudden behavior of your dog and frequent bouts of vomiting. Our info related to bog vomiting will help you understand your pet in a better way. We can help your dog stay healthy and sheer fun to be with. Check out our site for latest information on do vomiting and solutions at dogvomitinghelp.com. We want you and your pet stay happy and healthy together always. Not all dogs that have pee accidents in the house are dirty dogs. Canine urinary incontinence is one of the most given reasons dogs end up in animal shelters. If your dog has any urinary tract or kidney issues, you may have to give him a special diet. Then, you can consider feeding him dry dog foods. They can help to prevent the formation of the kidney. Depending on the serious level of urinary tract problem your dog is having, you can choose the right dog food. Let’s take a look at our article to learn about the best dog foods for urinary health. There are several things that can cause urinary incontinence in dogs. It isn’t always a behavioral problem. Frequently, dogs with incontinence urinate involuntarily and are often unaware of what is happening. Some dog incontinence issues are chronic and long-term while others are acute and short-term. An acute issue is often caused by a urinary infection in the dog. Canine urinary infections are easily treated with antibiotics. Another acute dog urinary incontinence issue can be caused by struvite crystals forming in the dogs urine. Struvite crystals irritate the urinary tract and cause frequent urination. Crystals can become bladder stones and a chronic issue if not treated. While your veterinarian can treat crystals, you can save money and treat the crystals yourself with a simple change to a high quality dog food. Dog foods with a high ash content are known to cause struvite crystals. Dog foods with a high protein content can also present a problem with crystal formation. Even some high quality dog foods can present an issue. If a change in diet to a high quality, low protein, low ash and mineral content dog food doesn’t cure your dogs urinary incontinence, it is time to see your veterinarian. It is possible your dog has formed bladder stones. Anytime your dogs urine is cloudy or blood tinged seek help. Also, if your dog appears to be having trouble or pain while urinating you need to contact your veterinarian. Phenylpropanolamine marketed under brand name Propalin, which improves the tone of the sphincter muscles, particularly the urethra and the bladder neck. This drug is very effective for dogs that leak urine. Your dog frequently wake up with a small puddle near his hind end. This was obviously an issue where his muscles used to contain himself didn’t work properly. This drug strengthens those muscles. The number one thought to keep in mind is not all dog incontinence problems are behavioral. A change in diet should be your first step in trying to tackle a dog urine issue. If the dog incontinence continues, contact your veterinarian to have the urine sampled for issues such as a urinary infection in your dog. With a little effort, canine urinary incontinence is treatable. If your dog has lower urinary tract infections, it’s important to treat it. Otherwise, it can threaten his life. You can treat these infections with antibiotics. Sometimes, a change in his diet may be a good treatment. These conditions are actually more common in females than males. 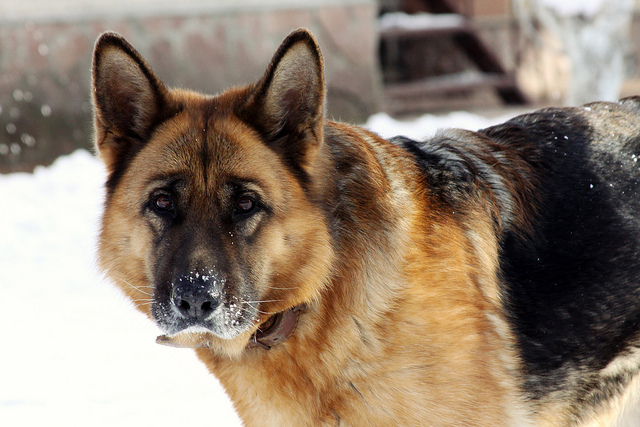 Stones in dogs may be a result of minerals crystallizing in your dog. If he has small tones, they may pass through your pet’s urine. However, large ones can block his urinary tract. So, he may feel painful. Your dog may get kidney failure when he ingests a toxic substance. Then, he needs treatment for comfort as well as his appetite. This is known as one of the best options for urinary health. It’s a hypoallergenic formula. It ensures to give your pet healthier stools and urine. Its ingredients can be able to reduce ammonia content. So, it can help to reduce the risk of bladder stones as well as urinary tract infections. This food is made with high-quality ingredients so that your pet can feel fuller quicker. So, it’s ideal to get better digestion for urinary health. If your dog has frequent urinary tract infections, this dog food is the best option for him. The formula is formulated with added nutrients and antioxidants so they can help to promote his heart and immune system. In addition, the food also contains calcium and proteins at low levels. Therefore, it can help to reduce the risk of developing stones in your dog’s urine. This recipe is one of the most recommendations for dogs that have urinary health problems. This dog food is highly recommended for your dog by most veterinarians. This recipe is low in calcium and phosphorus. Its protein content is on AAFCO standards, while it can decrease the risk of crystal buildup. In addition, this dog food is received a lot of positive reviews from customers. It can help to improve your dog’s urinary tract health quickly. This food is limited in ingredients. It focuses on highly digestible hypoallergenic formula. That’s why it’s listed here as a good option for urinary tract health for dogs. Because it is packed with limited ingredients, your dog will get less negative reactions. The main ingredient of this food is lamb meal. This ingredient is more digestible protein than other ingredients. Also, the food contains cranberries for acidity and a superfood you can choose to promote your dog’s urinary tract health. Plus, there is plenty of fibrous ingredients. Therefore, it can prevent your pet from the risk of mineral buildup within the bladder. If you are finding a good dog food for adult dogs with urinary health issues, you can choose this recipe. It can help to promote maximum nutrient absorption. The food ensures to give your dog a balanced meal. There are lots of fibers and carbohydrates found in this recipe. So, it helps to keep him fill for longer. It also means that you will need to feed him less when compared to other brands. Feed your dog with smaller amounts of this food, he will make less waste. Ask your dog to drink lots of water so that the food can help to promote his urinary health. Moreover, this recipe is also a good choice for your wallet. This dog food is made to meet your dog’s metabolic and nutritional needs. This dry dog food is great for supporting your pet’s digestive health as well as his urine health. It’s packed with prebiotics, probiotics, botanicals, digestive enzymes, and natural fibers. Overall, it’s made of quality ingredients. Because it’s formulated with lots of premium proteins sourced from fruits, veggies, and chicken, it ensures to give your pet balanced meals. This product can be able to promote your dog’s health at all stages of his life. In addition, this food is also made to prevent your furry friend from urinary infections. We highly recommend this option for owners who are looking for all-natural dry dog food for their dog’s urinary health. If you choose foods with too many acidic ingredients, your dog may face too acidic urine. It’s important to choose a healthy balance of acidic ingredient. For example, you can look for foods with cranberries in the recipe. You should give your dog a minimal amount of phosphorus and magnesium because they are forms of struvite crystals. Also, avoid feeding him too many proteins because this ingredient converts into ammonia known as one of the parts of struvite crystals. The need for thirst is created by salt content. This ingredient helps to encourage your pet to drink more. Besides your dog’s diet, your dog needs to drink plenty of water. This factor is also important to reduce the risk of developing stones. You can give your pet healthy digestion by feeding him small amounts. Your dog may be affected directly by the foods you feed him. If there is any issue, it’s best to switch to a diet that can help support urinary well-being. On the contrary, if he doesn’t suffer from a urinary problem, the proper dog food can also help him prevent these problems. Nowadays, there are many different options to choose from. But, some of them may cause urinary tract problems worse due to high mineral content. For instance, dry dog foods are available in less water content. There are many certain dog breeds that can develop urolithiasis or bladder stones such as the Dachshund, basset hound, beagle. Bichon fries, bulldog, miniature poodle, Dalmatian, miniature schnauzer, Scottish terrier, cocker spaniel, Irish setter, Yorkshire terrier, Lhasa apso, and so on. If your dog seems to be suffering from urinary tract issues, consult your vet’s suggestion about the food designed for him. 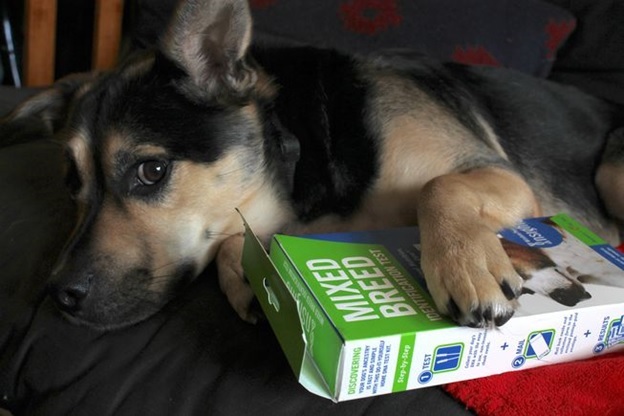 Also, mixed- dog breeds are also prone to getting urinary tract issues. In fact, middle-aged dogs are more frequently affected by bladder stones when compared to younger canines. If you want to feed your dog dry dog foods for his urinary tract health, you need a prescription from your vet. These foods are actually low in magnesium, phosphorus, and protein compared to standard dry dog foods. Also, these foods are low in sodium. So, they can reduce high blood pressure. If you worry that your dog may suffer from urinary tract issues, it’s best to feed him a non-prescription diet in order to reduce these conditions. There are some famous dog food companies you can choose such as Purina, Iams, Hill’s Pet Nutrition and Royal Canin, and Flint River Ranch. Non-prescription diets are recommended highly for dogs with urinary tract problems because they are low in protein. When you decide to feed your pet a non-prescription dry dog food, remember to check the ingredients list of products. Not all expensive dog foods are accompanied by high-quality ingredients. Also, you should check the guaranteed analysis for the protein, sodium, purines, phosphorus, and magnesium content. Don’t choose foods with a high amount of fillers as well as chemical preservatives. You can also find special ingredients and supplements such as spirulina, cod liver oil, or chitosan. Consider recipes with other ingredients to promote your pet’s kidney healthy such as vitamin B & E.
There are some ingredients found in dog foods that can worsen inflammation such as refined carbohydrates, grains, and high-starch ingredients. It’s best to choose a great diet with meat and vegetables. We suggest you choosing a diet with minimal amounts of phosphorus and magnesium since these factors can increase the formation of struvite crystals. For dogs with urinary tract issues, you will have to give them appealing and tasty dog foods. Also, you should look for a diet made with moisture in order to promote proper hydration. You can more easily store dry dog foods than canned dog foods. However, your dog can get some benefits from wet or canned dog foods if he has urinary tract issues. In fact, it’s a good idea to give your furry friend canned dog foods at least part of his diet. You can find canned foods for urinary tract health in both prescription and non-prescription forms. The higher water content can help to reduce the risk of stone formation. One of the most important things in your dog to pay attention to is urinary tract health. If your dog is stressed, it’s best to put a call into your vet. Then, your vet can help you know exactly if everything is okay. As a pet owner, you should are always proactive in order to avoid potentially serious problems. In addition to doing besides regular vet visit, you also have to choose the dog food with urinary crystals. A healthy diet can help your pet a lot. Once you notice your pet is suffering from urinary tract infections or bladder stones, it’s time to think about one of these foods said above. They are designed to promote a healthy urinary tract.